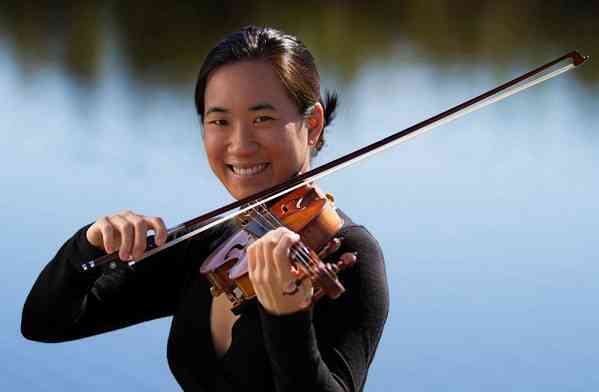 Raised in Chapel Hill, NC, Frances Hsieh began studying violin at age five with Dorothy Kitchen of the Duke University String School. As an A.J. Fletcher scholar at Duke University, she continued her studies with Eric Pritchard while earning dual Bachelor degrees in Music and Biology. In 2005, Frances received her Masters for Violin Performance at the Eastman School of Music under the tutelage of Charles Castleman. During this time, she performed with the Rochester Philharmonic Orchestra through a competitive internship with the Eastman Orchestral Studies Program. As a member of the Eastman Chamber Music Society, Frances received instruction from Mikhail Kopelman, Zvi Zeitlin, George Taylor, and the Ying Quartet. During the summers, Frances has attended numerous prestigious summer music festivals such as Boston University’s Tanglewood Institute, Eastern Music Festival, Quartet Program, National Repertory Orchestra, National Orchestral Institute, AIMS music festival in Graz, Austria and received the Benenson Award to attend the Aspen Music Festival and Musicorda. Frances has performed with the North Carolina and Phoenix Symphonies and has won positions with the Colorado Music Festival, Richmond Symphony Orchestra and the Charleston Symphony Orchestra. She is currently Assistant Concertmaster of the Asheville Symphony and Principal 2nd of the Hilton Head Symphony Orchestra. Today, Frances continues her love of chamber music as a core member of Chamber Music Charleston, which most recently she performed with at Carnegie Hall’s Weill Hall in 2013. As an avid teacher, Frances enjoys giving back by instructing students privately and at Ashley Hall’s Carolina Strings Academy. Her pupil’s successes include acceptances into All State Orchestras, SC Regional Orchestras and South Carolina’s School of the Arts. In the summer, Frances spends her time teaching at Joyful Noise Music Center in Asheville, NC, giving masterclasses at the Charleston International Music School, and serving as violin faculty at the Luzerne Music Center in the Adirondacks.